We’re exposed to a lot of data on a daily basis and we know we should be doing more with it. It seems like every time we log into Google Analytics the navigation and name of things have changed. GA is not often our first destination for data as we focus on the direct engagement metrics in the social media networks themselves and our content calendars. At the end of the day though, we have to find a way to harness what reporting and insights are available in GA and make them a part of our process. This presentation will provide some background information on Google Analytics tracking and then quickly jump into the specific areas of reporting in a detailed, yet approachable way to show the wide range of information available and–more importantly–how you can use it to advise your strategy and prove the value of the work you’re doing. Corey Morris serves as the Vice President of Marketing for Voltage–a full-service digital marketing agency based in Kansas City, MO. He has spent a dozen years working in strategic and leadership roles focused on growing both national and local client brands with award winning, ROI generating digital strategies. In addition to his role at Voltage, he serves on the global board of SEMPO as the VP of Cities and previously led the local SEMPO Cities initiative in Kansas City upon founding the KC Search Marketing Conference. 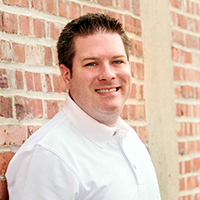 He is currently a contributor to Search Engine Journal, speaks locally and nationally on digital marketing topics including at SMX and SEMPO events, and formerly served as co-host of a monthly tech radio show in KC. He has a passion for learning and sharing knowledge in the search industry and seeing people connect and make meaningful relationships in our industry.